Courtesy of Sherry Anderson, Alpine Realty. TRULY A RARE FIND WITH THIS MT. SHASTA VIEW and just minutes from town. Located in a neighborhood of Mt. Shasta where homes rarely come on the market, this custom home is on 4.9 acres and has SEPARATE RV STRUCTURE WITH SHOP!!!!! Views are spectacular not only from the cathedral windows in living room but extend throughout the home showcasing Mt. Shasta, Eddy mountain range and Black Butte. This 3 bdrm/2.5 bath is comprised of main living area, kitchen, family room/den, and bedrooms on a single level with spacious loft and 1/2 bath upstairs that overlooks the living room. The home has efficient heating and cooling as well as wood stove. Decks around the home are great for relaxing and enjoying the peaceful and private setting and the one off the master bedroom features a hot tub. An additional 24 X 24 separate shop on the property is insulated and heated and has many possibilities! Low maintenance landscaping with some fruit trees and small fish pond, a gated entry, and walking paths. A beautiful home in a beautiful setting, just what you’ve been waiting for! Please, send me more information on this property: MLS# 113319 – $699,000 – 233 Madison Dr, Mt Shasta, CA 96067. 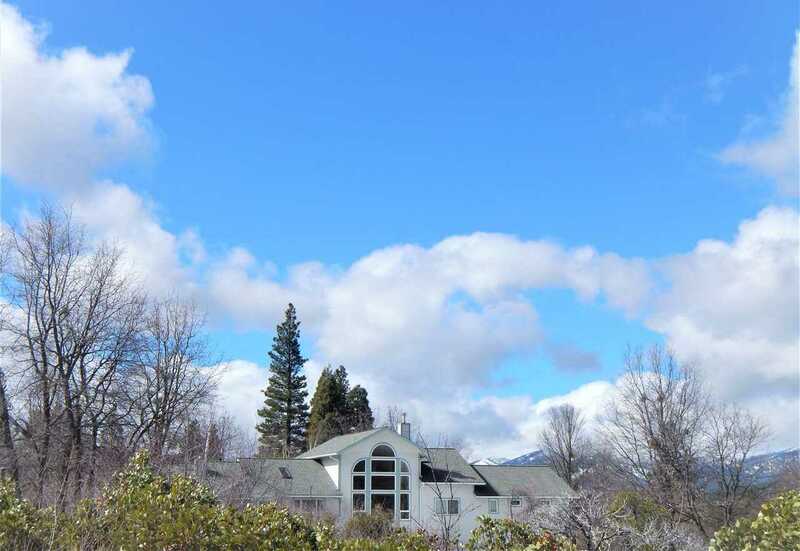 I would like to schedule a private showing for this property: MLS# 113319 – $699,000 – 233 Madison Dr, Mt Shasta, CA 96067. © 2019 Alpine Realty. CA DRE #01092055 All Rights Reserved. Real Estate Website Design powered by Home Junction. Copyright © 2019 Siskiyou Association of REALTORS®. All Rights Reserved.